Yes, it is indeed a bold statement design for the young generation. Your bedroom is designed for your busy schedule and multitasking attitude. 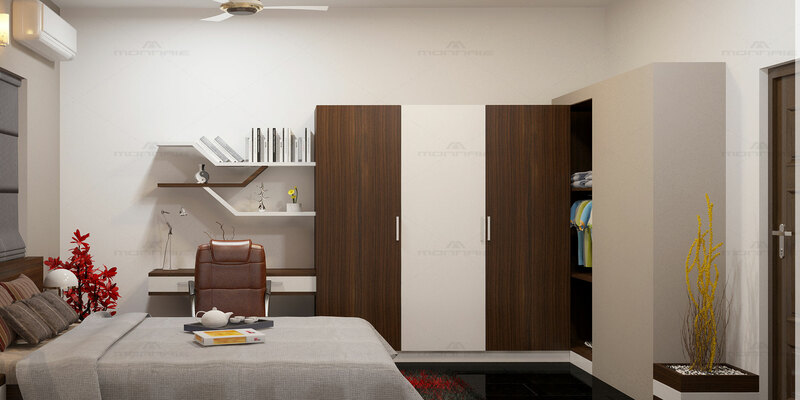 A portion of your bedroom is designed in such a way that you can utilise it as your study area or reading area in your bedroom. Wooden texture with a combination of white pastel colour is given to the designer furniture’s and wall painting. The colour of accessories and wall paint are contrasting, which highlights the every bit of the design.